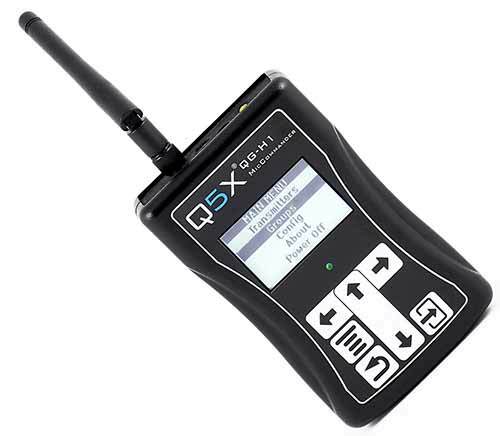 Control the functions of the transmitter from a distance. Originally designed for pro athletes, they can take a beating. Aluminum, polymer or flexible rubber case. Comfortable and easy to hide. 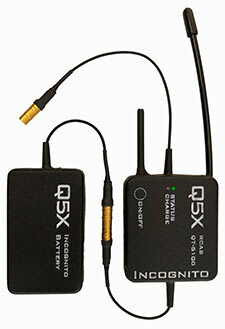 The World’s smallest and thinnest broadcast quality audio transmitter. The PlayerMic was designed with a flexible rubber case to not injure a player if they take a direct hit or fall on it. Internal lithium batteries last 4 to 13 hours on a charge. Considerable cost savings compared to disposables. Splash-proof / Sweat-proof or fully submersible up to 30ft/10m. 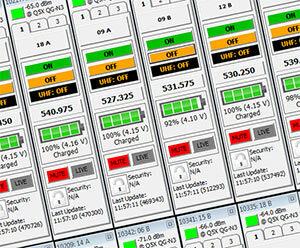 Broadcast audio sound. Frequency agile in the 470-700 MHz UHF band. 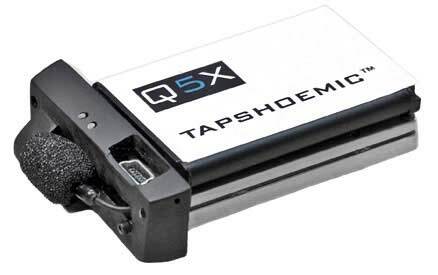 Q5X, Lectro or Shure companding. The combination of long battery life, small size and the ability to control functions remotely. Developed for the NBA. The PlayerMic the world’s first flexible rubber body-pack and it’s designed to protect the player from injury if they fall on it or take a direct hit. A revolution in concealment. The two piece rubber case of the Incognito can be hidden in wigs, undergarments or in almost any costume or stage prop. The world’s smallest broadcast quality transmitter. 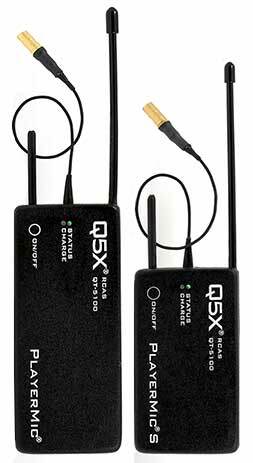 QT-5100 transmitters are part of the RCAS™ (Remote Control Audio System) that allows you to make on-the-fly adjustments to the transmitter functions. Remotely turn transmitters on and off, change frequencies, RF power levels, mic gain and companding modes, organize transmitters into groups, check their battery level and status and set to storage mode. RCAS™ technology, developed in 2006 for the NBA, has since become popular in sports arenas and world leading theatrical venues. By turning on and off groups of transmitters, and changing their frequencies, it is possible to reuse one receiver (and one frequency) with multiple transmitters used at different times in a performance. 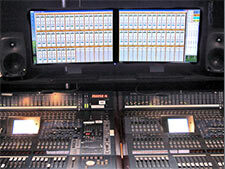 For Radio City Music Hall, in RF congested New York City, only 80 usable frequencies were available. So 80 two channel receivers are shared by 300 transmitters. The RCAS™ MicCommander (handheld or network) communicates with the transmitters via a 2.4GHz control channel that will operate through clothing, walls and over long distances. Give us a challenge. We created the PlayerMic at the request of the NBA, we created this TapShoeMic at the request of the Radio City Music Hall. We have created 24h mics on Buoys and mics built into golf hole cups. If you have a special requirement, let’s talk.